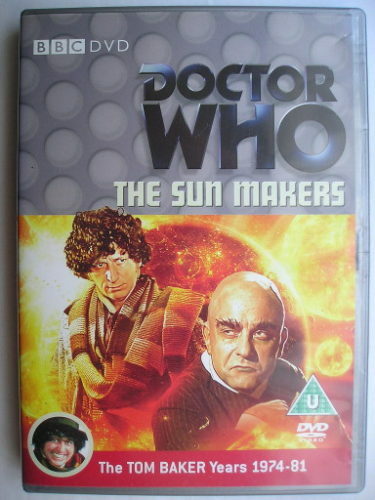 “The Sun Makers” is an adventure of the fifteenth season of “Doctor Who” classic series, which aired in 1977. It follows “Image of the Fendahl” and it’s a four parts adventure written by Robert Holmes and directed by Pennant Roberts. Cordo can longer pay taxes that are getting higher all the time and decides to end his life. The arrival of the Fourth Doctor (Tom Baker) and Leela (Louise Jameson) interrupts his suicide attempt and the man explains to the two travelers the reasons for his desperation. An article published in the journal “Nature” reports the results of a study of the skull of Latimeria chalumnae, one of the two species of coelacanth existing today. 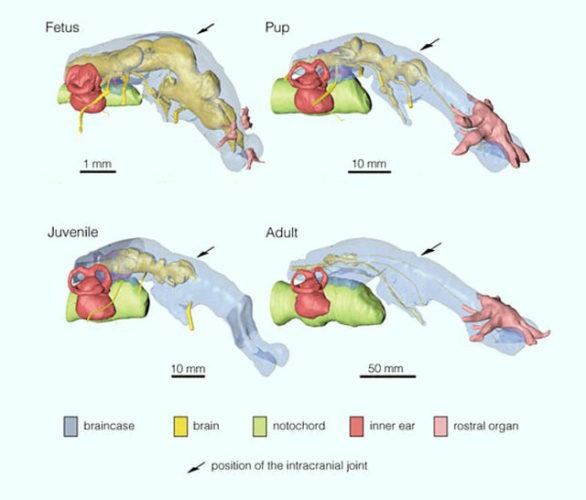 A team of researchers led by Hugo Dutel of the British University of Bristol subjected several specimens to very sophisticated tests to create reconstructions of their skulls and brains from the fetal state to the adult state. The aim is to study these fish considered a living fossil to better understand the evolution of the skull in vertebrates and also the reason why the coelacanth brain occupies only 1% of the cranial cavity. 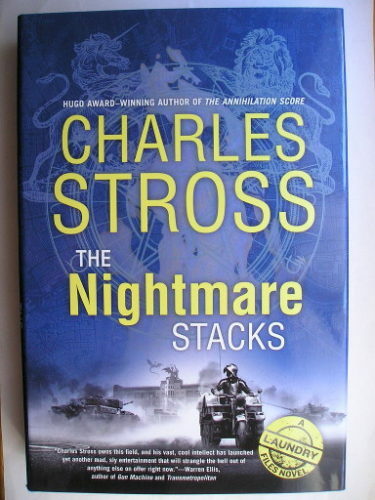 The novel “The Nightmare Stacks” by Charles Stross was published for the first time in 2016. It’s part of the Laundry series and follows “The Annihilation Score”. Alex Schwartz, also known as Alex the Vampire, started working for the Laundry after receiving an offer he couldn’t refuse. His first task is supposed to be routine and his main concern is that it’s in Leeds, his hometown, with the anxiety about meeting his parents and telling them a cover story about what happened to him. The positive note comes from his meeting with Cassie, a local student who seems to find him interesting. On a parallel Earth a not-exactly human civilization developed upon magical powers is planning to invade what for them is another Earth. The king’s daughter is sent as a spy to gather information on the civilization of humans to assess their power and facilitate the invasion. To infiltrate humans, she takes the form of Cassie, a student from the place she arrives after crossing the bridge between the universes. 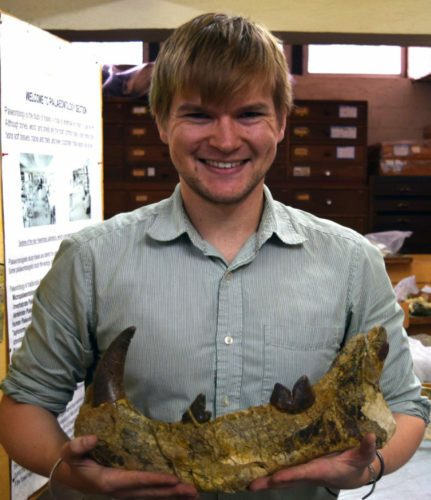 An article published in the “Journal of Vertebrate Paleontology” reports the identification of an extinct species of carnivorous mammal whose estimated weight is higher than that of polar bears. Dr. Nancy Stevens and Dr. Matthew Borths of the Ohio University named it Simbakubwa kutokaafrika after studying fossils dating back some 22 million years ago discovered in Kenya between 1978 and 1980 but never studied. In its ecosystem it was a top predator and is the oldest representative discovered so far of the group of hyaenodonts. “Such Sweet Sorrow Part 2” is the 14th and last episode of the 2nd season of the TV show “Star Trek: Discovery” and follows “Such Sweet Sorrow”. The USS Discovery and the USS Enterprise can only count on their crews and the firepower of shuttles modified at the last moment for the battle against the fleet leed by Control. The hope is to gain enough time for the new Red Angel to be ready to accomplish her mission.